I hadn't considered myself much of a fan of Brutalist architecture before moving to Edinburgh. Here, where the New Town is a model of Georgian order and the Old Town is a finely conserved organic growth of medieval winding streets and lanes, the occasional Brutalist building of the 50s, 60s or 70s may be pretty bold and definitely potent but breathes fresh air into a city otherwise rooted significantly in pre-20th century history. Though I appreciate the value of this architectural heritage and am glad Edinburgh preserves it so well, it can get a little monotonous, not least because so much of it is built using sandstone, which is the bedrock here. And apart from a few exceptions, little of what's been built in the city since has much personality of its own, preferring to blend into the city's sandstone background than make its presence felt. 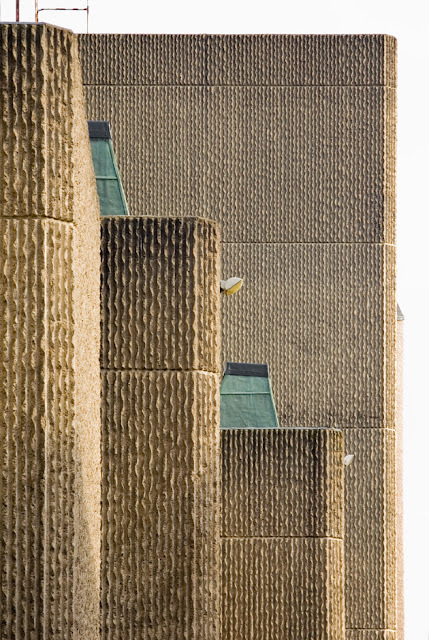 Against this sandy-coloured backdrop the harsh glass and concrete of a Brutalist building stands out far more than in other settings, and I can't help but like it all the more for its unashamed brashness. 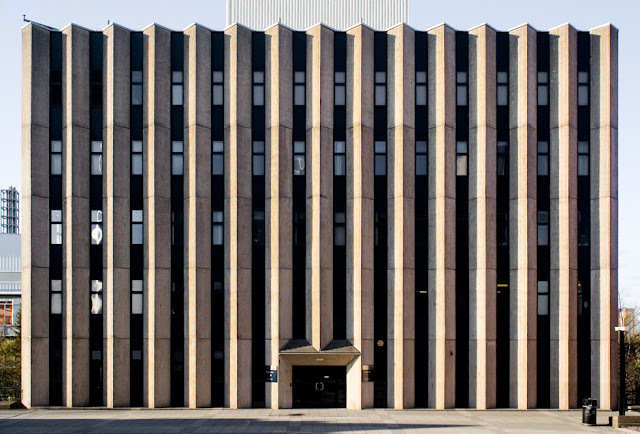 While the Brutalist buildings of Edinburgh began to pique my interest, I came across a project called Scottish Brutalism, a growing online archive of Brutalist architecture from Glasgow and the surrounding region. 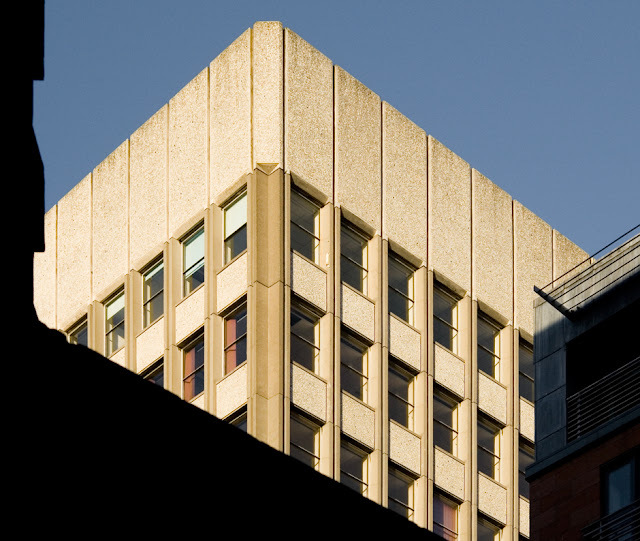 As part of his Masters research project at the architecture school in the University of Strathclyde, Ross Brown has begun collecting examples of Brutalist architecture, discussing the design of the buildings, their use of materials and their construction. Very much a work in progress, the project is designed to grow, potentially to other regions in the UK and perhaps even further afield. It would be great to see the project spread to Edinburgh - there are some really great examples of the style here, and though the City Council is pretty good at listing buildings in order to preserve them (even when they're built after the 19th century) I don't think there's as much public appreciation for them as they deserve. While I consider it really important to embrace new architecture and allow new generations to express themselves within cities, it's also important to preserve what we can from previous generations, allowing a city to tell the story of all those who've lived and worked there through the architecture it holds. 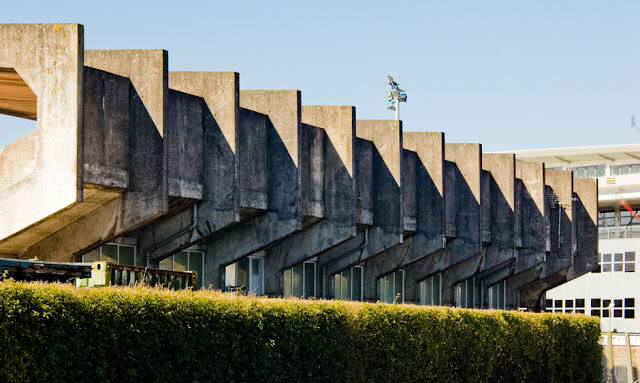 Giving Brutalism a place within that - when for a long time it was at best overlooked and neglected and at worst hated and demolished - is incredibly valuable, and I'm glad to see the Scottish Brutalism project doing just that. Hunterian Art Gallery, University of Glasgow, designed by William Whitfield & Partners, 1978.